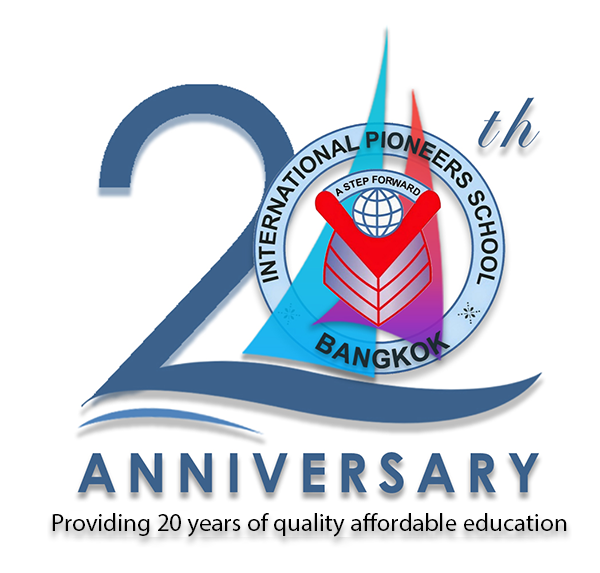 International Pioneers School (IPS) is widely recognized as one of the premier international schools in Bangkok, providing ‘quality affordable education’ for the past 20 years to both, the international community as well as the Thai populace. IPS is conveniently located in the central business district (CBD) of Bangkok, adjacent to the Krungthonburi BTS station near Saphan Phrachao Taksin Bridge on Charoen Nakorn Road. International Pioneers School is fully accredited by Western Association of Schools and Colleges or WASC, besides the longtime local accreditation by Thailand’s own Office for National Education Standards and Quality Assessment or ONESQA body. The IPS curriculum is modelled on the British national curriculum and adapted to meet the needs of the local as well as overseas students. Students of IPS are accepted into various prestigious universities in Thailand and abroad. International Pioneers School is a centre for the Cambridge International Examinations (CIE) and we conduct Cambridge IGCSE, AS/A Levels and Checkpoint tests regularly to assess students’ academic progress and to benchmark their performances. IPS also administers Edexcel Qualifications for high school students. These external examinations are well-structured, have high credibility and are recognized by universities all over the world. I am also happy to announce that this year, our Check Point results of Year 6 & Year 9, IGCSE and A Level results were good – as usual. IPS Science and Mathematics results are always higher than the world average. This year our English Check Points results exceeded our expectations. At IPS, we teach our students to become problem-solvers and team players. In addition to ensuring the success of our students academically, we pay attention to what our students do after graduating from our school and maintain relationships with our alumni. We motivate our students to be creative, innovative and enterprising in order to become successful in their chosen career paths. We will not cease challenging ourselves and our students to achieve greater goals. Besides academics, we place a lot of emphasis on extracurricular activities, as we want our students to learn and excel outside as well as inside the classroom, to express their creativity and augment their communication skills. We have motivated and supportive teachers and staff who create a family-like atmosphere, where positive learning among students takes place. The IPS community takes various initiatives that inculcate global mindedness among our students and develop them as responsible global citizens. The global village is witnessing rapid changes in the socioeconomic aspect of life and we encourage and enable our students to learn to be flexible and ready to face any challenges in the future. We encourage our students to study with a purpose and also to learn to treat the mother earth and ‘nature,’ with responsibility. As an international school in the era of the world without frontiers, we have made speaking English a priority. We have implemented various strategies to compel our students to speak English on the school grounds at all times. Our IGCSE and AS/A levels program are tailored to meet the needs of the students, their career aspirations, and to play to their strengths. I would like to appeal to our parents to encourage your children to read every day - to create a steadfast reading habit, play outdoors, limiting screen exposure and helping parents doing house chores. We should promote our students to limit their use of phones and head phones while walking on the street. I extend a warm welcome to you to visit our school in order to receive firsthand information on how we can assist your child to prepare for a brighter future. During this academic year 2018-2019, International Pioneers School (IPS) has completed 20 years since establishment in 1998 and we surely have come a long way. Building up an international school from its inception and seeing it grow and achieve the 20 years milestone is a major achievement for all our stakeholders. I wish to extend my warmest appreciation to all our stakeholders and thank you for your faith and trust in our school. As for applicants who wish to apply for a position at our school, I would like to ask you to please proceed to the ‘Work With Us’ page on our school website under the tab labeled “Our School” to check for any updates regarding job vacancies.